Pella Roofing and Insulation, Inc. (PRI) can provide you instant feed back with our Infrared Thermal Imaging camera. 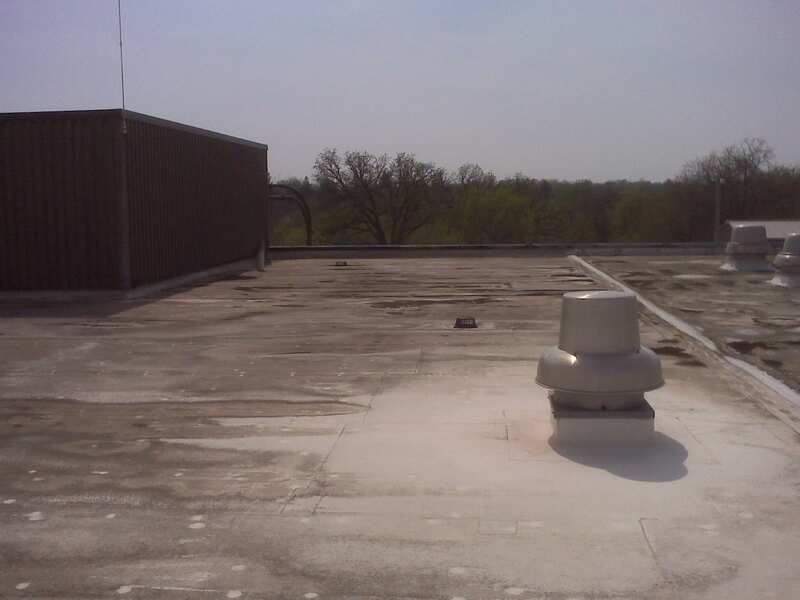 In the roofing industry specifically, infrared can help locate wet insulation due to damage areas in most flat roofs as well as helping to narrow the search for a possible leak source. This allows for substantial costs savings for roof replacement projects since tear-off may be minimized to select areas rather than the entire roof system. Thermal scans can also tell you the health of your roof and areas that may need to be repaired soon or in the future. Predicting quickly the flaws can be very useful in preparing for a fiscal budget year. If you have any questions call (866) 699-3967. EPDM is a low slope roofing option also known as ethylene propylene diene terpolymer. Characteristics that contribute to this superior overall system performance include, proven hail resistance, high resistance to ozone, weathering and abrasion, flexibility in low temperatures, superior resistance to extreme heat and fire, and ultraviolet radiation resistance. EPDM’s high resistance to wind damage has also proven to be an increasingly desirable attribute. EPDM is generally offered in 45 mil, 60 mil, and 90 mil thick. (Black and white colors are available). This is a high-performance membrane resisting tears, impacts, punctures and normal roof traffic. Normal structural movement has limited effect on its integrity. This membrane provides excellent resistance to ozone and ultraviolet light exposure. You can count on EPDM to remain flexible. Single Ply Roofing is a type of roofing used for low slope roofs. This includes TPO. 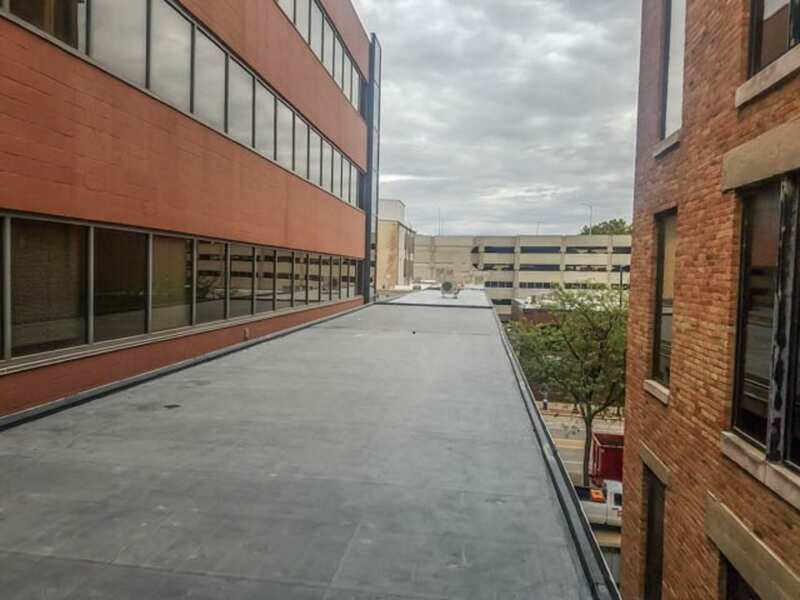 TPO is short for Thermoplastic Polyolefin which is a single-ply reflective roofing membrane made from polyprophylene and ethylene-propylene rubber polymerized together. TPO is durable; resists dirt, bacteria, algae and debris build-up. TPO is proven flexible and weather resistance and this performance is due to the hot-air welded thermoplastic seams. 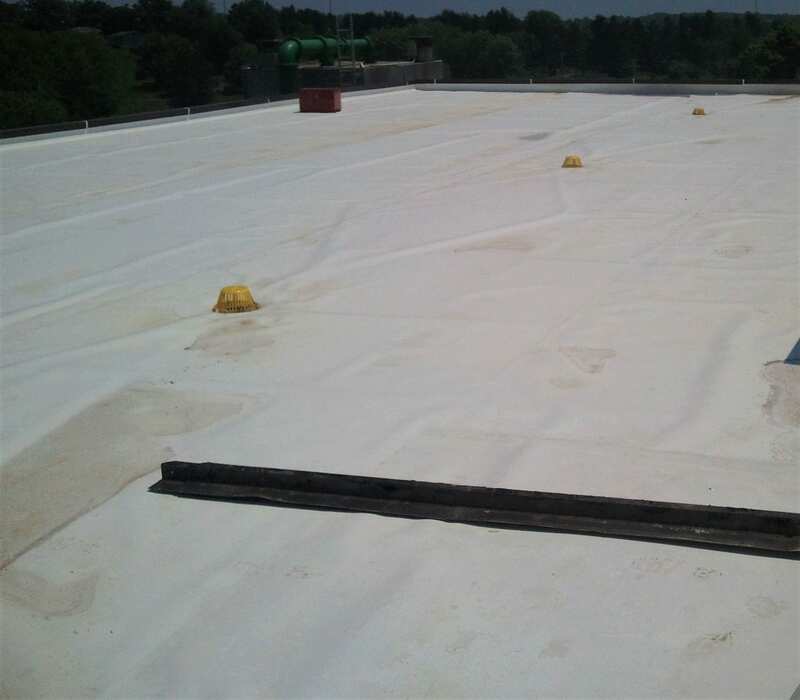 Heat-welded thermoplastic roofing membranes are the fastest growing segment of the low-slope roofing market and TPO is an excellent system choice. TPO is generally offered in 45, 60 and 80 mil thicknesses. Colors available include white, gray and tan. PVC is generally offered in 50, 60, and 80 mil thicknesses and is available in the following colors: white, tan and gray. Restoring a roof is a less costly option than re-roofing. If the roof is a good candidate, coatings can help extend the quality and life of our roof. Building up and re-coating your roof can lead to big savings and be an affordable way to restore your roof. 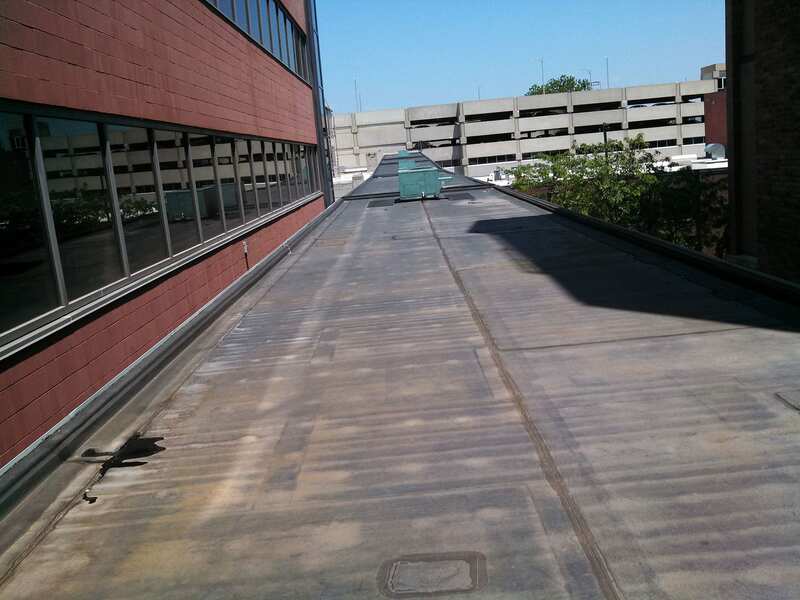 Inhibit further metal deterioration by protecting your roof with elastomeric coating. Protect it by stopping leaking seams, fasteners and penetrations with a 90% solid urethane product. This helps create a complete seal that is impenetrable to water and moisture. The highly reflective finish coats reduce thermal shock thus extending the life of your roof. Is a roof restoration right for you? These types of repairs are excellent and resistant to dirt pick-up and repairs blisters, cracks and leaks fast and is also very economical. Restoration costs may be as low as 20% of a total tear-off and replacement costs. The other nice thing is materials are easily applied saving time and money. This makes the inconvenience, risk, and environmental implications of a roof tear-off unnecessary. The acrylic coatings we use are adaptable to Membrane, Asphalt and Modified Bitumen roofs. These coatings provide a strong waterproof barrier and are UV resistant. If this is something you need more information on please contact PRI, Inc for a free estimate!